Philadelphia’s first HD screening room. 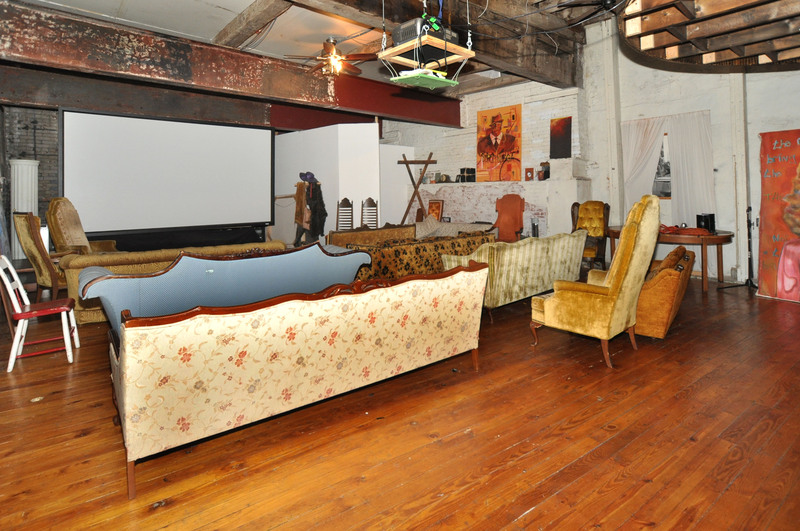 The Media Bureau designed, built ,and produced the City of Philadelphia’s first Independent SD/HD film, media, politics and art salon, complete with multiple digital studios and a spacious cafe parlor (freeRADlab) in 1998. Our goal was to help unite the greater Philadelphia creative digital media community and economy and their global counterparts in one location with all of the tools. The screening room was programmed from our extensive in-house content production, web/network access, and personal collection of Independent “digital” films, festival favorites, including genre films, documentaries, midnight cult-movie’s, film slam selections, and much more. Independent film and digital media were provided a one of a kind creative forum to converge, screen, network, share, and innovate. The underground film forum #uff, met regularly from 1998-2011 to screen and discuss independent film. After the successful acquisition of the property by developer Ari Barkan , MBN has moved. Thank you to the thousands who passed through, had events, interacted, watched, discussed, debated, posted, innovated, and took part in what was a truly historical and magical creative cypher. All of us at MBN.